In the months that passed since the first work day, the entire demeanor of the terrain had changed. Drought, wildfire, and clouds of dust had been replaced by rain-induced landslides and a smattering of beat up, rerouted, and sometimes-closed roads. 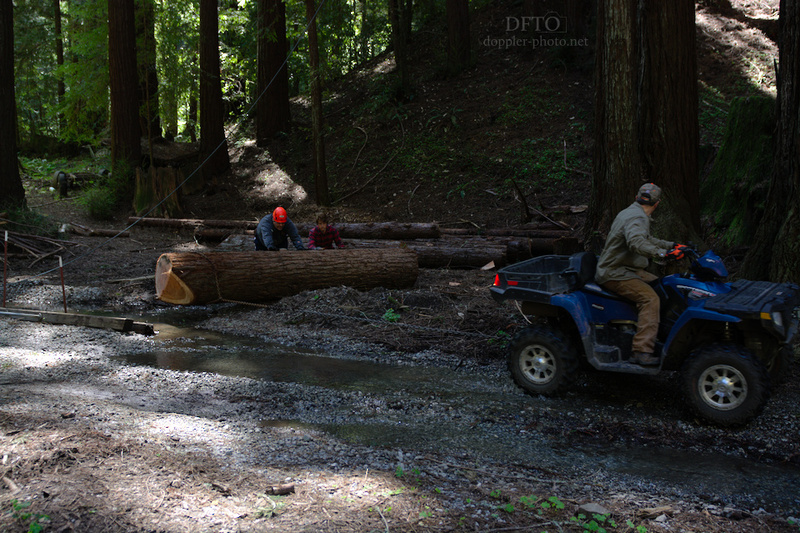 As the dappled sunlight and scattered logs of the worksite came into view, I was also greeted by a miniature creek running along a 10-foot section of the gravel access road. Which, I remembered, was one main motivation of embarking on this adventure in the first place — Mark wanted to reroute that road, to reduce the impact of that erosion, and the tree was in the way. At first, the cutting procedures were mostly the same as on the first day. But this time, logistics was the name of the game. 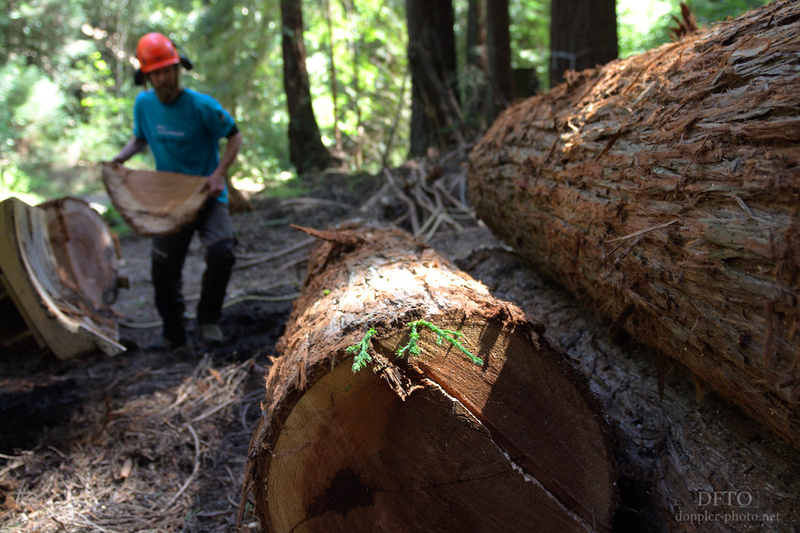 The logs were getting broader and heavier, and the drop zone was getting crowded. 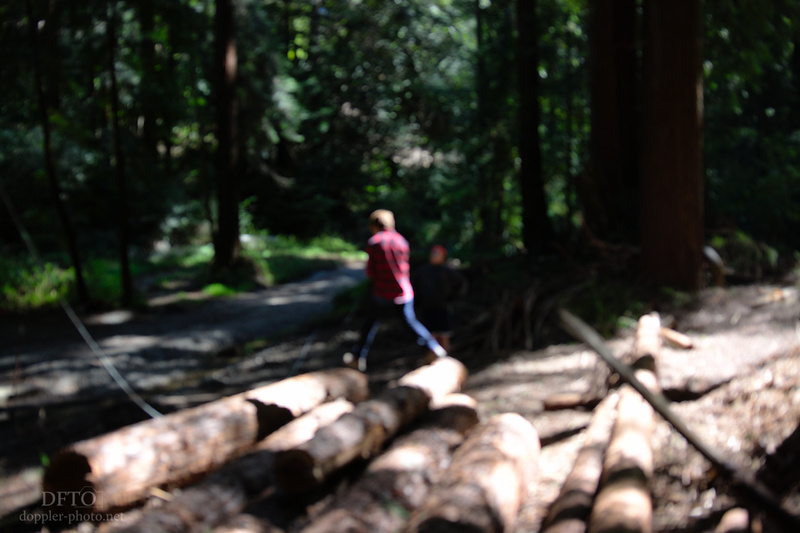 So we spent a lot more time shuffling logs on the ground than we spent actually doing the cutting. 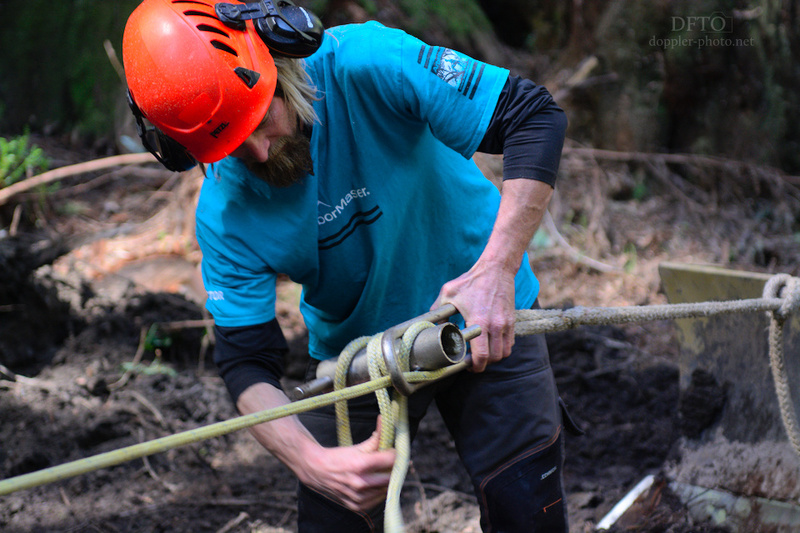 And when the quad ran out of traction, Mark pulled out some bigger tools. 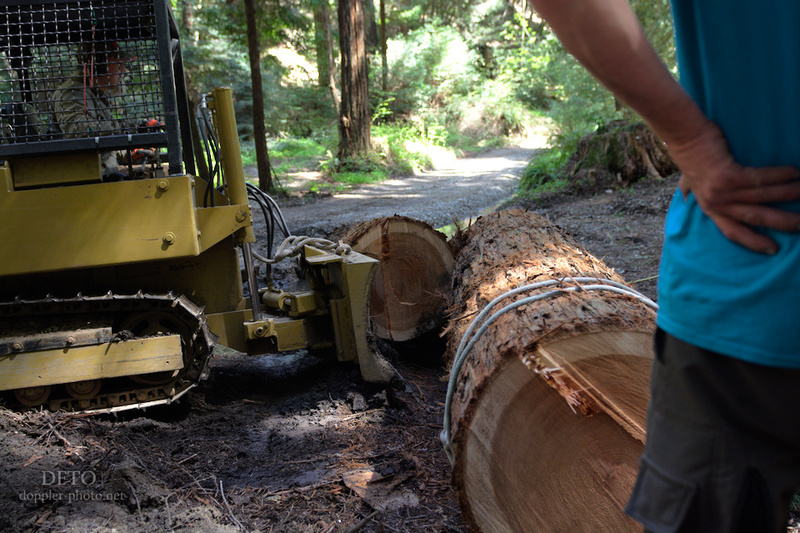 His old, small, somewhat underpowered bulldozer was just what the doctor ordered for stacking some of the logs that were taking up a bit too much of the cramped real-estate. And then Matt reused the angular cutout from a face notch as a wedge to keep anything from rolling away. The rest of the logistics work was, fundamentally, a triumph of simple machines. This adjustable rope anchor used the capstan effect to avoid the stress concentration (and resulting reduction in load capacity) that knots would create in the smaller yellow rope. 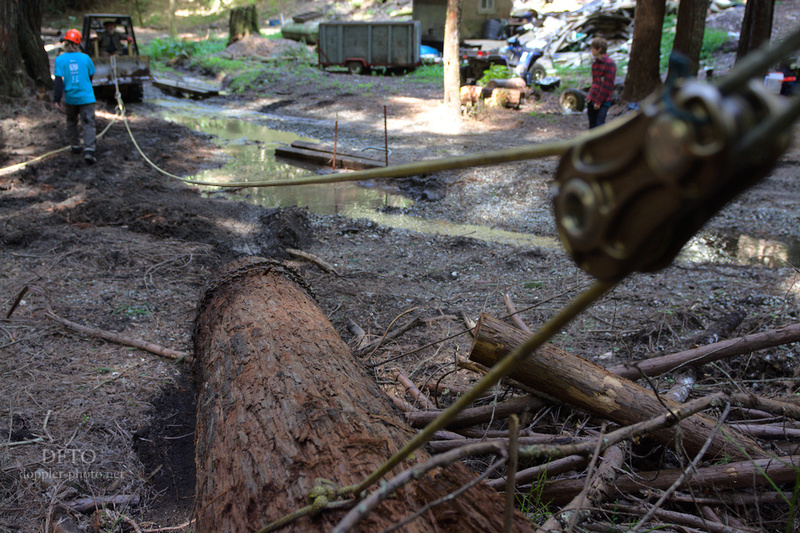 Then, a straight pull on a simple pulley got the last log well out of the way.